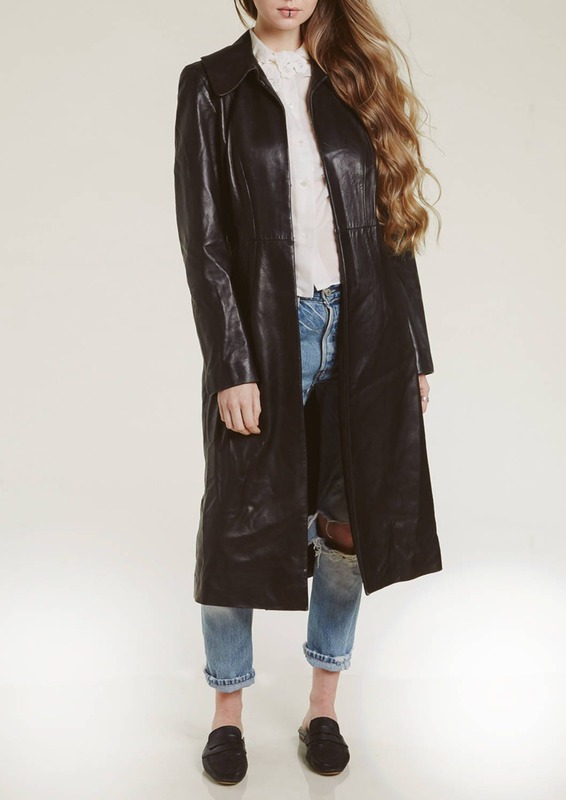 awesome vintage 1990s leather duster jacket by cult collectible brand DKNY. this coat is lined and is the softest glove/lamb leather imaginable. pockets and simple hook closure seal the deal of becoming your favorite new piece. so good!